Available for Deserving Charity Events on a Limited Basis. Create a standing reception for up two hundred-fifty of your guests. Whether it is a cocktail party, formal dinner or buffet brunch, choose from indoor or outdoor dining. The Downstairs Hall includes a built-in bar, buffet station, a stage and a private Port Room. The Downstairs Hall seats seventy-five guests or accommodates fifty guests if you plan to use the stage. Depending on the weather, you can also opt to use the patio and lawn areas to create outdoor dining. The Downstairs Hall is also a popular choice for stage and musical performances, and private dance parties. The event services include dining tables, tablecloths and chairs to seat up to seventy-five; full use of the house, kitchen and grounds. Create a standing reception or seated event for up to seventy-five of your guests. Whether it is a cocktail party, formal dinner or buffet brunch, choose from indoor or outdoor dining. The Downstairs Hall includes a built-in bar, buffet station, a stage and a private Port Room. The Downstairs Hall seats seventy-five guests or accommodates fifty guests if you plan to use the stage. Depending on the weather, you can also opt to use the patio and lawn areas to create outdoor dining. The Downstairs Hall is also a popular choice for stage and musical performances, and private dance parties. The event services includes dining tables, tablecloths and chairs to seat up to seventy-five; full use of the house, kitchen and grounds. Create a special reception or dinner for up to twelve of your guests to have exclusive use of the entire house. 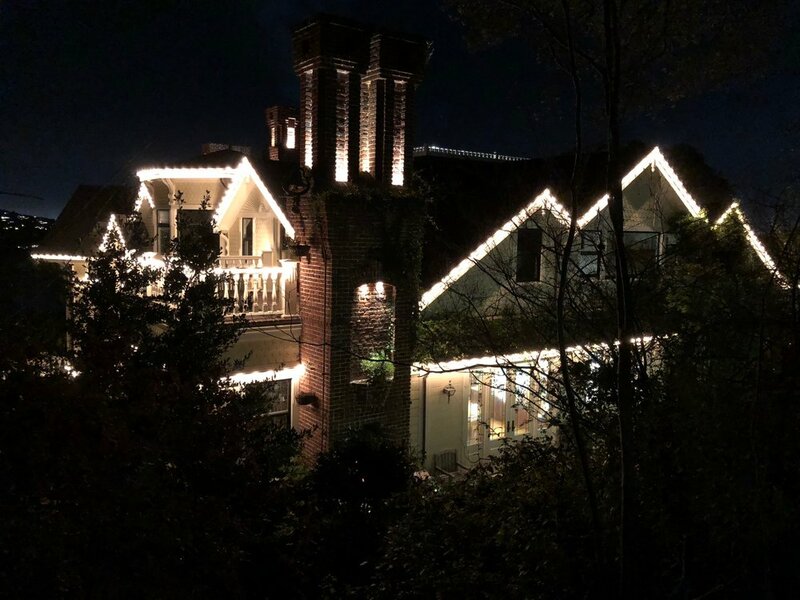 The Pines is a wonderful setting for chef dinner’s, important dinners, brunch, or a cocktail party. Choose one or use all of the following rooms to host your gathering: the Grand Kitchen (seats 6), the formal Dining Room (seats 12), or the Port Room (accommodates 10-12 standing room only). 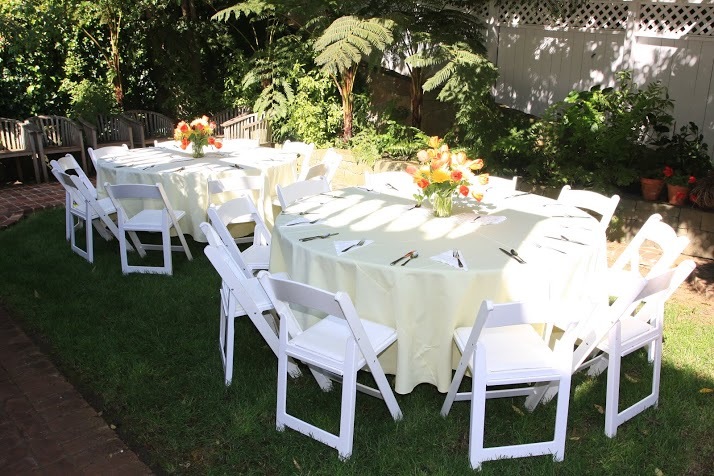 Event services includes house table linens, napkins, china, silverware and glassware to serve up to twelve; full use of the house, kitchen and grounds.